Last friday, Big League Politics published a picture of Virginia governor Ralph Northamâ€™s medical school yearbook page. It showed two individuals one in blackface and the other in a KKK costume. The photo immediately gained traction on social media and lead to condemnation from both Republican and Democratic politicians. Governor Northam admitted that he posed in the photo on Friday night and apologized for his actions. However on Saturday, he told reporters at a press conference that he was â€œnot the person in the photoâ€� but admitted to wearing blackface as a part of a Michael Jackson costume for a dance contest. The left focuses on calls by Democrats to condemn the photos and call for Governor Northamâ€™s resignation. 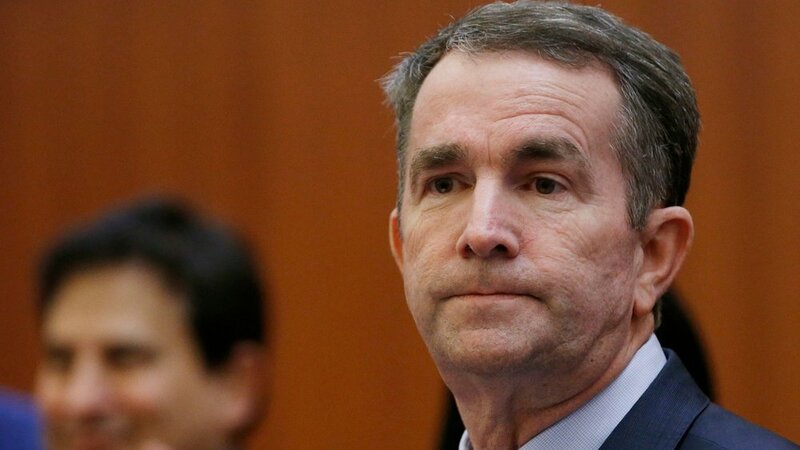 They list out the individual tweets and statements from Democratic presidential hopefuls like Kirsten Gillibrand to the Democratic Party of Virginia in order to show the widespread pressure Governor Northam faces pushing for his resignation. The right condemns the photos and pushes back on any suggestions connecting this to the Republican party. They instead argue that these yearbook photos are far worse than what was written in Kavanaughâ€™s yearbook because they depict him â€œin an obviously racist poseâ€�. As some articles point out, Governor Northam has lost â€œvirtually all of the stateâ€™s Democratic establishmentâ€�. With Northam insisting that he would finish up the term, state lawmakers may look into impeachment proceeding under the Virginia Constitution to remove him from office.